Tritech offers a variety of design services, from basic schematics and equipment procurement documents to complete technical drawing sets and corresponding contract documents for public or private bidding. Our capabilities incorporate most aspects of water, wastewater, and stormwater system design including collection, distribution, storage, supply and treatment. Tritech offers site design services, for institutional, industrial, commercial and residential applications. 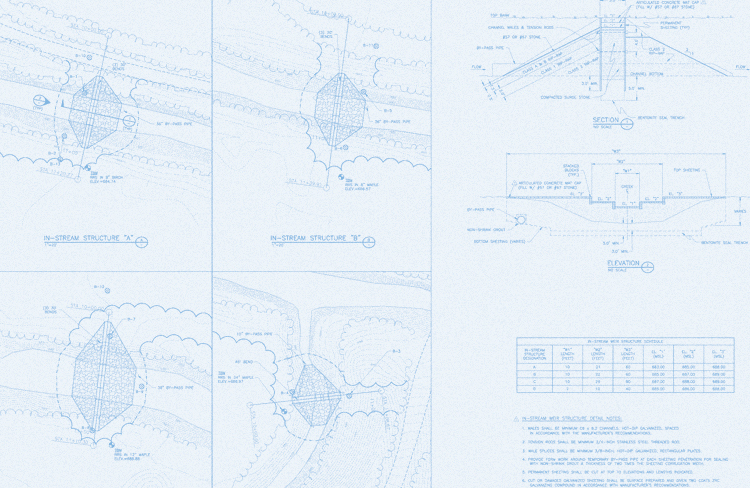 Our design scopes typically include engineering reports and testing, field surveys, contract drawings and documents, cost opinions, and permit acquisitions.